I wrote an article recently on how to setup your WordPress site on the Google App Engine. In this article, I like to give you more information on how to setup your image storage for your App Engine WordPress website using the Google Cloud Platform (GCP) Storage and how to configure the WordPress plugin Google Cloud Storage plugin for app engine. If you setup your WordPress site on GCP Compute Engine, using the Cloud Launcher to launch your WordPress site, you media files are stored in the same place (same server) as the rest of the WordPress files. You could use the Google Cloud Storage to store your files externally, as the price to store externally is in most cases cheaper. If you choose to go with the Google App Engine your media files have to be stored externally, Google Cloud Storage is a great choice to choose. As part of the Google Cloud Platform Free Tier, Cloud Storage provides resources that are free to use up to specific limits. These usage limits are available both during and after the free trial period. If you are no longer in the free trial period, usage beyond these Always Free limits is charged according to the price sheet. Cloud Storage Always Free quotas apply to usage in us-west1, us-central1, and us-east1 regions. Usage is aggregated across these 3 regions. You can calculate your Google Cloud storage, with the Google Cloud Platform Pricing Calculator. Why to use Google Cloud Storage? It’s cheaper than storing files on Google Cloud Engine instance. If you have many servers, each running the same instance of your blog/app. You can simply store all the files in 1 place and refer to them from anywhere (any server). There’s no need to sync between the servers, if you store it locally. 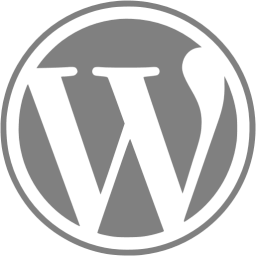 For the WordPress setup depending on if you using the Google App Engine or the Google Compute Engine, you will need to use a plugin. For Google Compute Engine, then you can also use the Cloud Storage FUSE, that would require some server work. The rest of this article is about how to setup Google Cloud Storage Plugin. To create a cloud bucket, a bucket is like a folder were you files are store. Login to GCP, select the Storage from the left menu bar. Select the storage class that you want to use. See pricing for the cost of the storage class. Select the regional location for your bucket. Then select create and your bucket is created. Remember the name of the bucket, as you will use it to configure your WordPress plugin. Now your bucket has been created, you would need to set the bucket permission. For your images to be displayed on your WordPress site, you would need to add the ALl Users view permission to your bucket. With this article, I wanted to give you the information on how to use the Google Cloud Storage with your WordPress site, if you chosen Google App Engine or Google Compute Engine – you now have a external storage option for your WordPress site. As always, I’m interested in your comments, you can fill them in below.